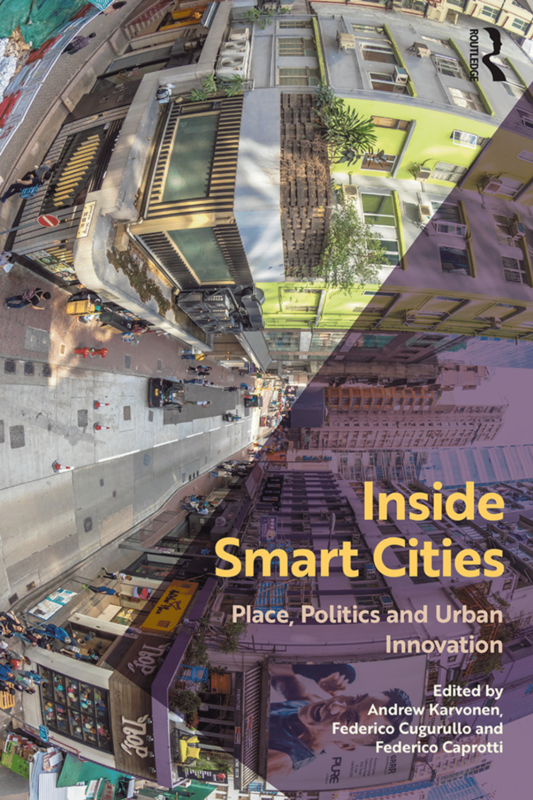 Ya se encuentra disponible el libro Inside Smart Cities: Place, Politics and Urban Innovation editado por Andrew Karvonen, Federico Cugurullo, Federico Caprotti. Este compendio reune diferentes textos sobre casos de Smart City alrededor del mundo y en particular cuenta con un capítulo escrito por Martín Tironi y Matías Valderrama sobre el proyecto de Calles Compartidas para un Distrito Bajo en Carbono de la ONG Ciudad Emergente, titulado: “Acknowledging the idiot in the smart city: experimentation and citizenship in the making of a low-carbon district in Santiago de Chile”. The era of the smart city has arrived. Only a decade ago, the promise of optimising urban services through the widespread application of information and communication technologies was largely a techno-utopian fantasy. Today, smart urbanisation is occurring via urban projects, policies and visions in hundreds of cities around the globe. Inside Smart Cities provides real-world evidence on how local authorities, small and medium enterprises, corporations, utility providers and civil society groups are creating smart cities at the neighbourhood, city and regional scales. Twenty three empirically detailed case studies from the Global North and South – ranging from Cape Town, Stockholm and Abu Dhabi to Philadelphia, Hong Kong and Santiago – illustrate the multiple and diverse incarnations of smart urbanism. The contributors draw on ideas from urban studies, geography, urban planning, science and technology studies and innovation studies to go beyond the rhetoric of technological innovation and reveal the political, social and physical implications of digitalising the built environment. Collectively, the practices of smart urbanism raise fundamental questions about the sustainability, liveability and resilience of cities in the future. The findings are relevant to academics, students, practitioners and urban stakeholders who are questioning how urban innovation relates to politics and place.